The use of CBCT in orthodontics has been a topic of much discussion and controversy, specifically, with regard to radiation dose and public health concerns. Ultra Low Dose CBCT technology is now more than ever a viable and recommended option for clinicians due to the decrease in radiation exposure to patients. Because of this, clinicians must begin learning to use this technology and become comfortable with the manipulation of and workflow with 3D volumes. 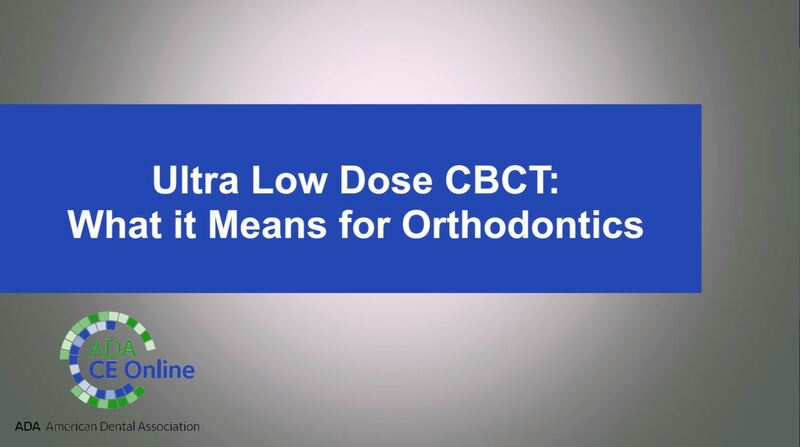 Understand the concerns surrounding the use of CBCT on all patients and how Ultra Low Dose (ULD) has changed that discussion. Recognize the importance/indications for ULD CBCT imaging to orthodontic diagnosis and treatment planning. Comprehend the workflow and learning curve associated with the diagnosis and treatment planning of orthodontic patients in 3D. This course is sponsored by Planmeca. This course discusses the use of radiation within the dental office. It has been projected that the use of CBCT imaging in dental offices has doubled in the last 20 years. With this increase in usage, radiation exposure to the patient has also increased. The increase in radiation requires the dental practitioner to adhere to ALADA, or As Low As Diagnostically Acceptable. This concept states that the dental practitioner only take images that are required to diagnose a potential problem. The Low Dose Radiation Protocol can effectively reduce the radiation exposure to the patient, while allowing the diagnostic image to remain the same quality as a regular radiation dosed image. 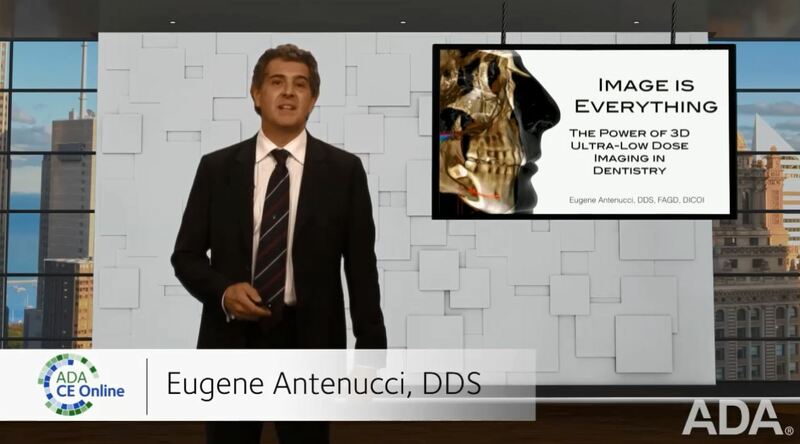 In this presentation, Dr. Antenucci will address a rationale and approach for optimal and routine radiographic imaging in clinical dentistry with 3D. Both 2D imaging such as panoramic images and panoramic bite wings, as well as 3D imaging using Ultra low Dose Conebeam technology are incorporated to achieve optimal treatment planning for the patient best care. 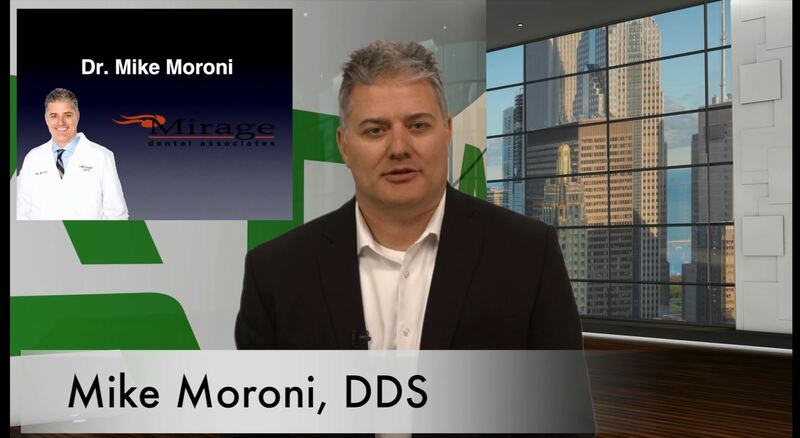 Protocols in imaging have changed dramatically over the course of this past decade with the introduction of new technologies that allow dentists to visualize problems and structures in infinite detail while delivering less radiation to the patient than with traditional imaging techniques. ALARA was yesterday's standard when considering diagnostic radiation and patient health and safety - ALADA is today's standard. Today’s advanced imaging allows superior diagnosis at lower doses of radiation.